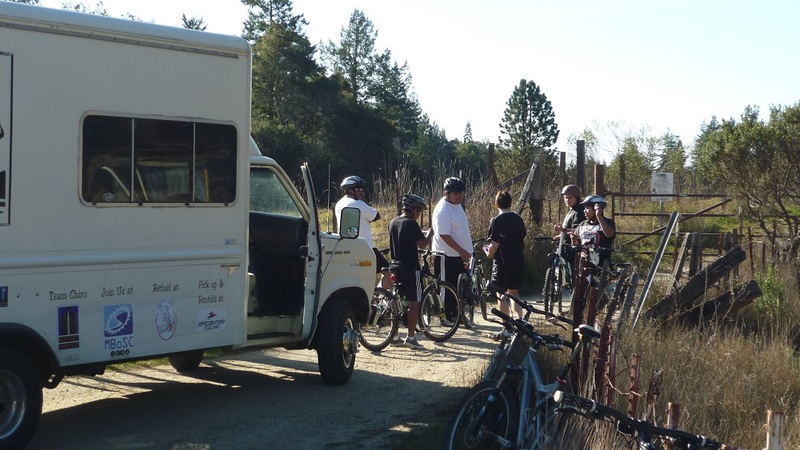 With the rain clouds parting to beautiful sunshine, kids from the Earn-A-Bike program mounted up to ride the fire road into the Forest of Nisene Marks. Along the way we tried out some of the skills development areas and side spurs. Stopping for lunch at George’s Picnic Area, we spotted wild mushrooms springing up out of the ground, and looked for salamanders and crawfish around the creek. One kid really got into the search. Steve Piercy from TFKSC was the ride leader, along with Tawn Kennedy who runs the Earn-A-Bike program. Enjoy the video from our trip. 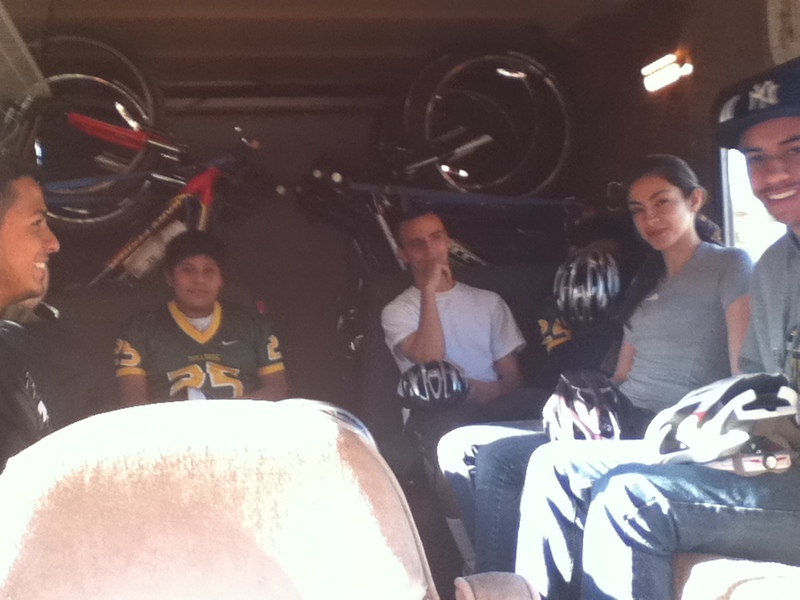 We have a special relationship with the Earn-A-Bike program in Watsonville. 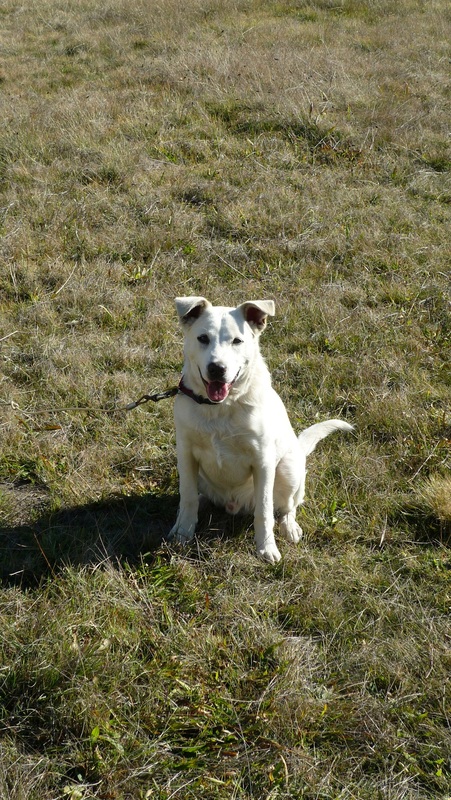 Our former president Roxanne Harrison wrote a grant to fund a similar program, but unfortunately it did not get funded. Realizing the importance of such a program, Tawn Kennedy was inspired to try again with some minor adjustments, and this time received funding. 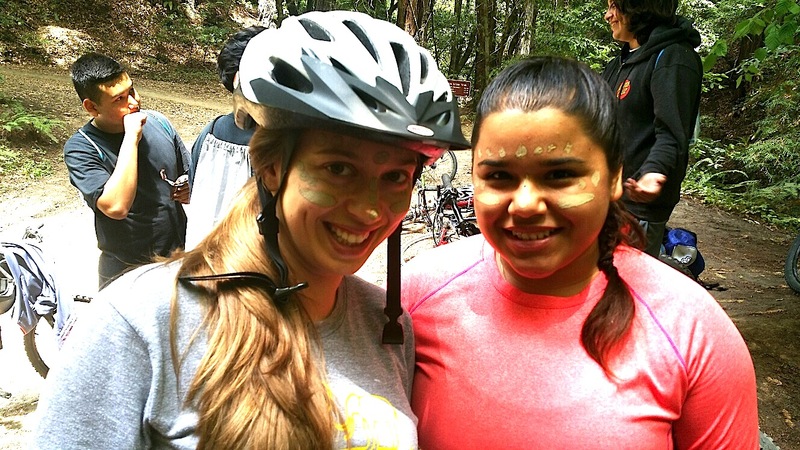 Through the program, middle school students learn about bike mechanics, on- and off-road bike safety, and earn a bicycle and other accessories. To earn the bikes, students participate in community service-learning projects such as helping with school gardens, monitoring wetland water quality, and volunteering at local youth-oriented events. 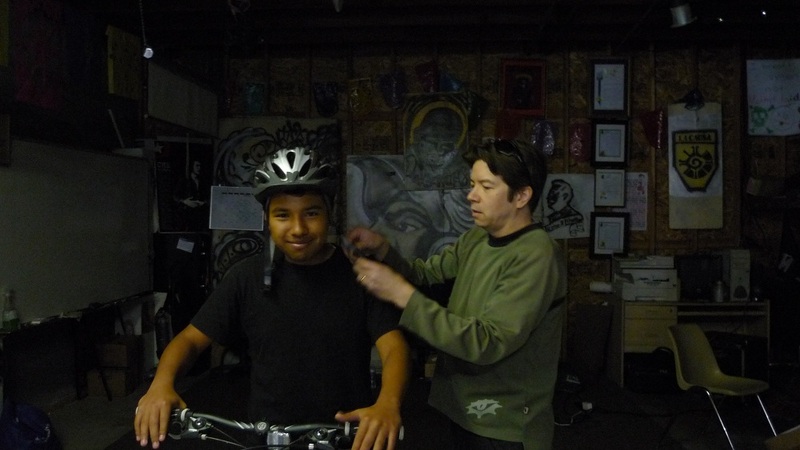 The program takes place in the Bike Tech classroom, a professional bike shop environment on the Pajaro Valley High School campus. 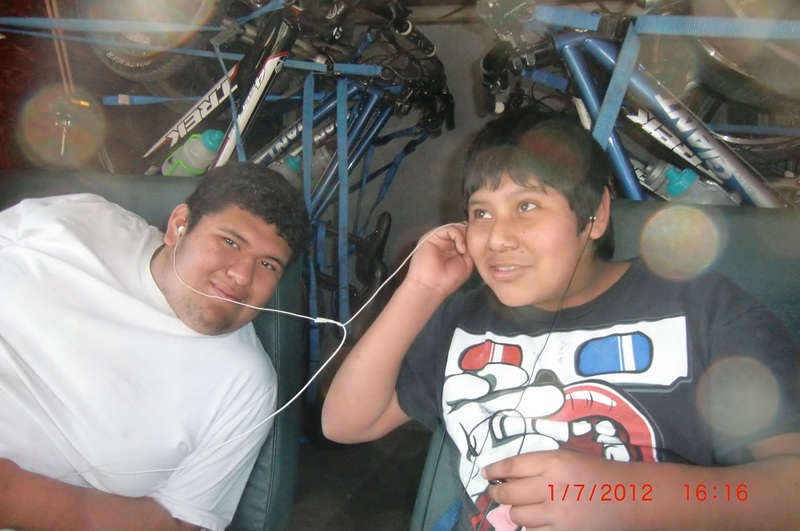 Teen mentors, many of whom are graduates of the Bike Tech program, support middle school students to refurbish donated bikes, learn basic repairs, bike safety, and participate in on-bike field trips in Watsonville and beyond. 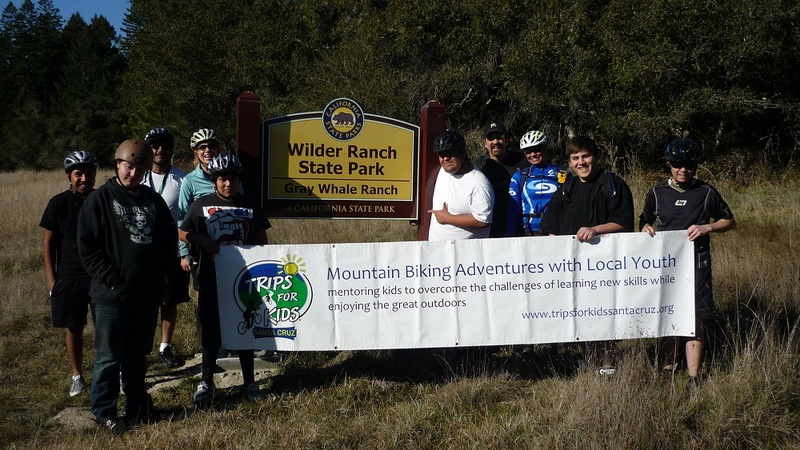 Earn-A-Bike is made possible through a grant from Community Foundation Santa Cruz County and numerous community partners including Santa Cruz County Regional Occupational Program (ROP), Project Bike Trip, Trips for Kids Santa Cruz, and donations from local bike shops and individuals. The Earn-A-Bike program is still in need of bikes to go to local youth. To donate a bike or find out more information, contact Tawn Kennedy at (831) 428-5109 or GreenWays@PeoplePowerSC.org. 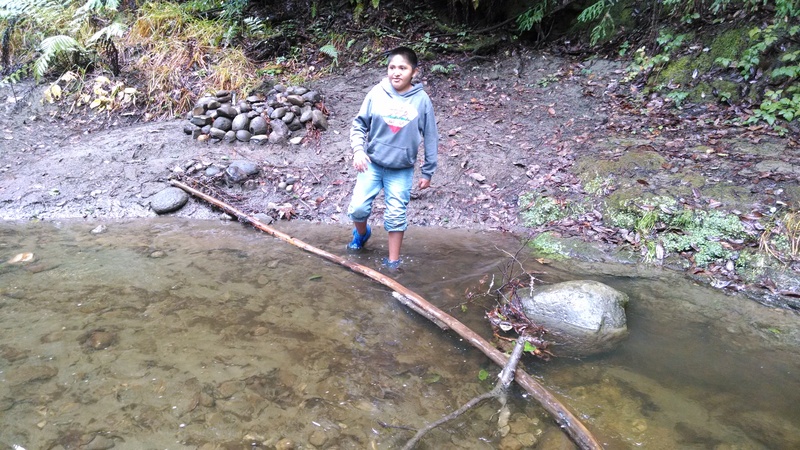 Green Ways to School, a project of People Power of Santa Cruz County, works to encourage local teens to use active transportation whenever possible through assemblies, presentations, group rides, and other events. For more information, visit the website GreenWays2School.org. Video produced by volunteer Brian Damschen. 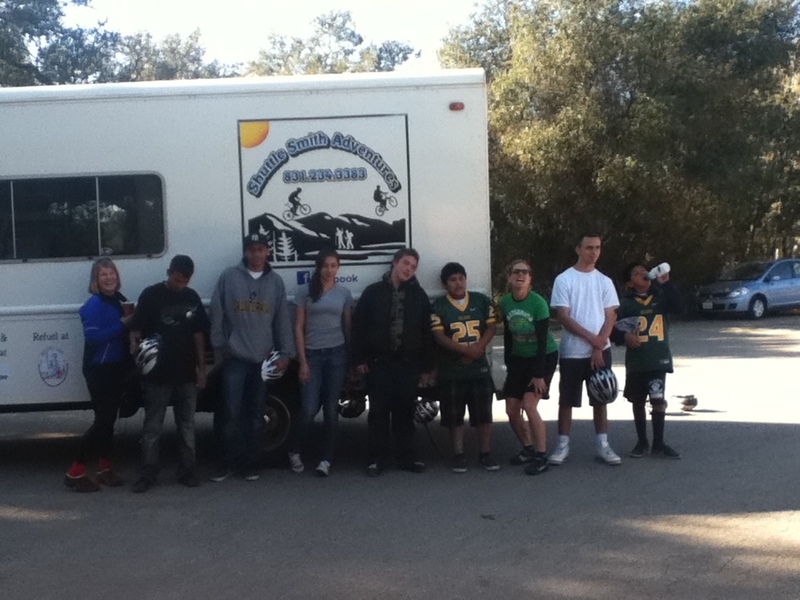 Our T4KSC ride on Saturday, April 7th, was great. New beginnings: All of the hard work at the Launch Pad really paid off. Not only did the Pad work great, it made the kids feel great. They absolutely loved it. They were all over, getting their bikes, selecting their helmets and gloves, using the bathroom, checking out the photo board, and generally amazed at the set-up. I think they were truly humbled (and proud) that it was all for them. 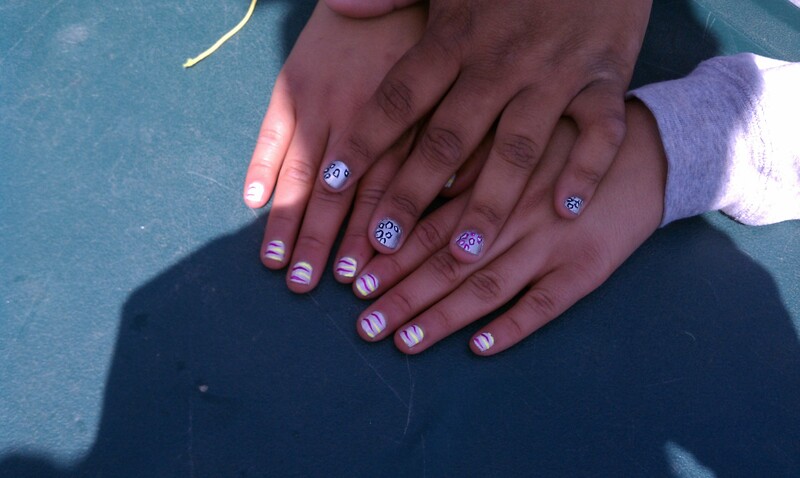 They couldn’t get over the fact that we all volunteer and most everything was donated….for them! That was pretty cool….and special. Participants: We had 6 kids and 2 guardians from Tyler House on the ride. Alli, thank you so much for organizing that. They were a great group. There were a few bumps and bruises along the way, but no injuries that rose to the level of an injury report. You might want to follow up with Tyler house to get their feedback on the ride and thank them for coming. The guardians, Maria and Billy, were fantastic. I will post the trip log, kids consent forms, and photos in our drop box. Ride volunteers: It turned out to be just Dawn and myself. Alli tweaked her back the night before, and couldn’t make it. Alli, I hope your back is getting better. Dawn, you were awesome (as usual) with the kids. Thank you…..You rock! Could you send me your photos…..and write a blog (“hella-fun”)? Shuttle Smith: Dave was once again the ‘man with the van’. Our new space, dubbed the Launch Pad, has been generously donated by Martinellis. Thank you Martinellis! No one said climbing would be easy - but the downhill is coming! It's not a ride without Shuttle Smith...hey, wait for the ride leaders! 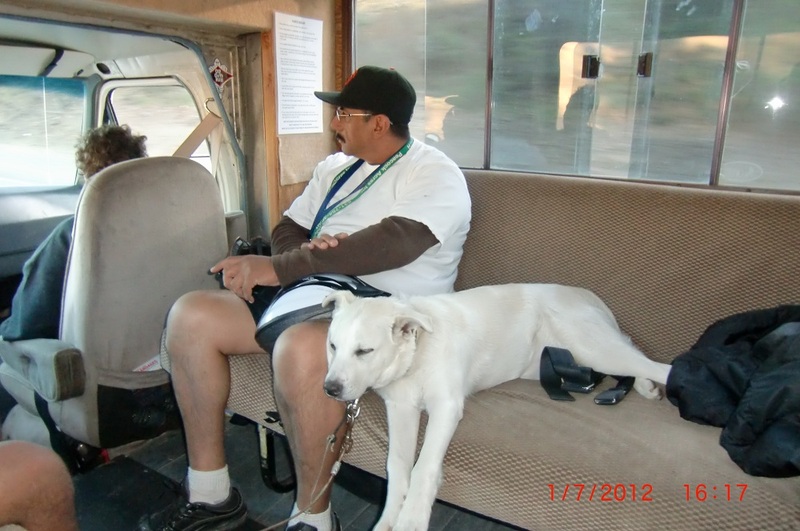 Gus is more tired than Jerry after a day of riding in Wilder. Thanks Dave at Shuttle Smith for the Ride! It was the ride after the wind storm. Debris so thick, it took talent to overcome the obstacles that buried the hard packed dirt of the fire road. I was in a foul mood. I was exhausted from a long work week and Steve-O had decided not to show up. When kids don’t show, I worry about what they’re up to, or why they are not there. That day I questioned why we even keep having these rides. 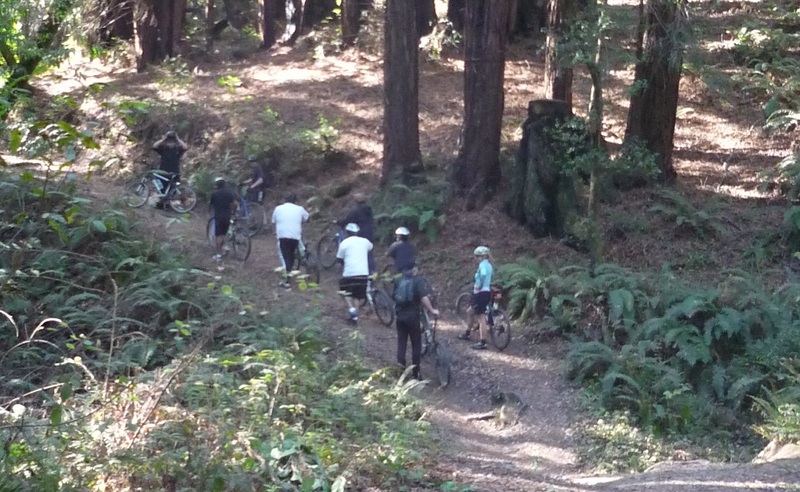 After errant branches made a twisted three dimensional puzzle out of one participant’s rear derailleur, our group headed back out of Nisene Marks State Park, slightly defeated. Thankfully, though, It’s a Wonderful Life mountain bike community, and despite scraped knees, unfriendly terrain, and the missing regular, I had a great day because I was riding bikes with cool kids and cool adults. The pump track John & I helped build back in July 2010 was a great back-up. Rox and John brought a BBQ and hotdogs. Shawn from Epicenter Cycling lent us a bike to replace the broken one, and was full of welcoming smiles as usual. BBQ, chips, pump track, and one super excited kid got me out of my doldrums. This one kid, Tim, wanted to jump, catch air, and throw down challenges. I love it when the kids are so lively and engaged with the bikes. They energize me. Tim challenged me to try to take jumps, corner tighter and ride a plank. I performed with mediocrity, but it was so fun. And that’s what’s important in the end, is to show up and try. 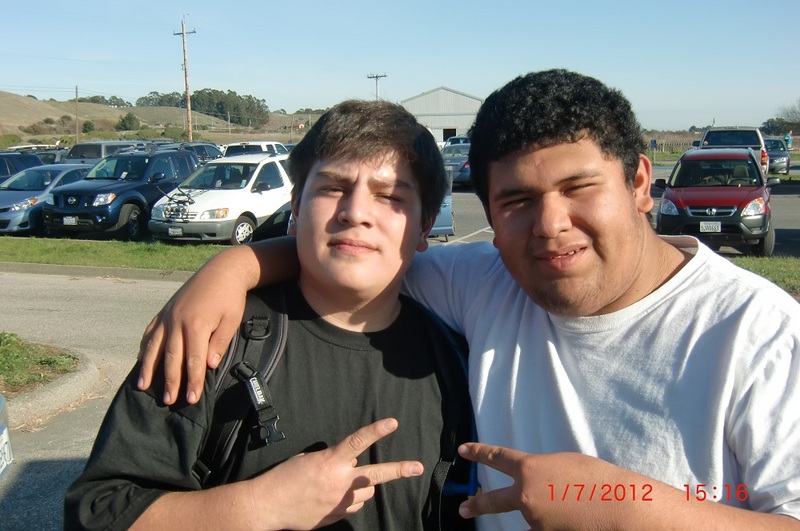 We had kids dropped off from Peacock Acres and Jovenes Sanos, they showed up. John the ride leader showed up, Roxanne our newest board member showed up, and Kathy, a new volunteer, she showed up too. 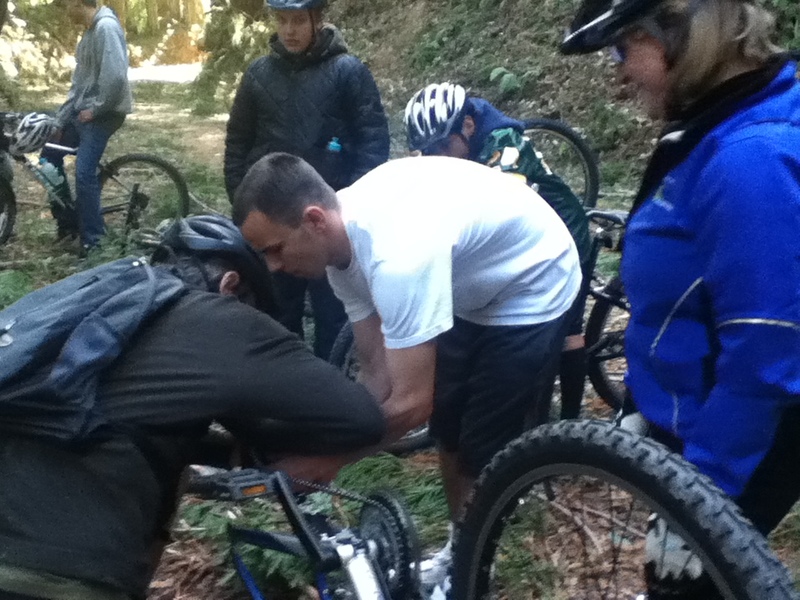 We rode through debris, cleaned wounds, adjusted seat posts, cooked hot dogs, and gave pep talks. And we played on a pump track. It turned out to be a great day, and that’s the lesson. Next time we’ll go drag Steve-O out of bed.